A Periodic Inspection & Test is an inspection of the condition of an existing electrical installation, the purpose being to identify any deficiencies against the national safety standard for electrical installations BS7671, 17th edition. A periodic inspection will reveal if any of your electrical circuits or equipment are overloaded, will find any potential electrical shock risks, and any fire hazards in your electrical installation. It will also identify any defective DIY electrical work, and highlight any lack of earthing or bonding. Tests are also carried out on wiring and associated fixed electrical equipment to check that it is safe. 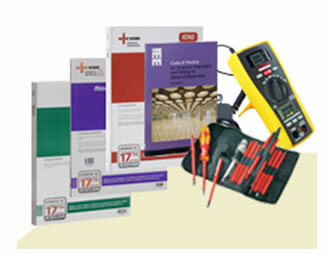 Compliance with BS7671 is also likely to achieve compliance HSE electricity at work regulations 1989. Every electrical installation deteriorates with use and age. It is important for the person responsible for the maintenance of the installation to be sure that the safety of users is not put at risk, and that the installation continues to be in a safe and serviceable condition. 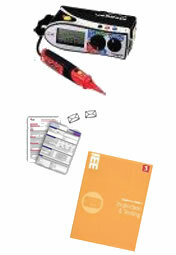 This is only a brief sample of the examples on table 3.2 in guidance Note 3 of BS7671. We have undertaken periodic inspections on a wide range of properties over the years from domestic houses through to larger installations such as the HMRC HQ Building Alexandra house in Southend-on- sea . We use Amtech FastTest to produce our certificates it is the most advanced test & Inspection software available - no other package has the range of features, helpful wizards and number of reports available. These reports are sent out in hard paper copies or by pdf file on email. Customers can have secure online access to their reports online along with records of remedial works and the progress of any remedial works projects, this is particularly usefully to busy facility managers looking after multiple sites and the online reports can be tailored to your particular requirements.